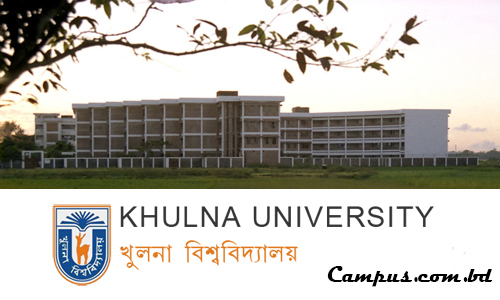 Khulna University admission test of first year honours will be held from November 3 to November 5. The information was given in a press briefing of Khulna University. KU will introduce a new faculty and two courses this year. Law and Justice course will be introduced under the new faculty called Faculty of Law. Another course, History and Civilization, will be introduced under the faculty of Arts and Humanities. As a result, the number of faculties will be increased to 28. This year, Khulna University has increased some seats too. There were 1118 seats in Khulna University before. With the increase of 92 seats, it now has 1210 seats. However, no details about admission or application process were given in the press briefing. But it was assured that KU will soon release the admission circular. Stay with us for more information about university admission. Like us on facebook to get regular updates right on your homepage.